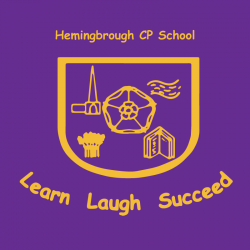 Kesgrave and ParentMail partner to deliver first class parental engagement! With over 1800 students and 99% of parents registered on ParentMail, Kesgrave High School collect on average £15,000 online each week, have sent over 700,000 emails home and had a 97% response rate to their first online form! All in all, it’s fair to say the school and ParentMail have formed a very successful partnership when it comes to parental engagement! Over 700,000 messages sent since they began using PMX! “The majority of parents use our branded mobile app, which means messages are sent home as free in-app notifications, popping up to alert parents of important school communications. As a result, we have saved on text credits as we are no longer sending any SMS and instead send all our communications through email which arrive in one single, school branded feed rather than a busy email inbox, improving our parental engagement as a result! 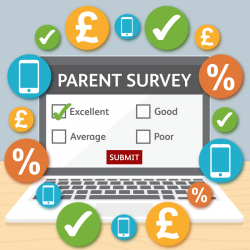 “With over 70% of parents regularly topping up and paying online through ParentMail, we’re collecting on average £15,000 each week for payment items and with dinner money top ups going straight into the cashless account system with no work required from our school office, the Online Payments application from ParentMail is a huge time saver for both staff and parents. What’s more, the weekly settlement report makes it very easy for the auditors within school to keep on top of what amount needs to go to which cost centre – of which there are hundreds. This allows us to easily track what has been paid for within each cost centre, which in a secondary school is very important to keep on top of! We have to say, if schools were students, we’d have to give Kesgrave High School an A* for how well they’re using the ParentMail system to communicate with their parents! If you’re a school looking for a way to simplify and streamline your communications, introduce Online Payments, Online Form Collections or more, ParentMail could be the answer. Get in touch today through email (enquire@parentmail.co.uk) or call us on 01733 595959 and we’ll be more than happy to discuss further!